The Structural Laboratories are well-equipped for testing of vibration control devices in full scale. The process of fabrication and installation, as well as its performance are confirmed with thorough tests and analysis in the structural labs. ​The test tower is a unique test Facilities for various control devices. 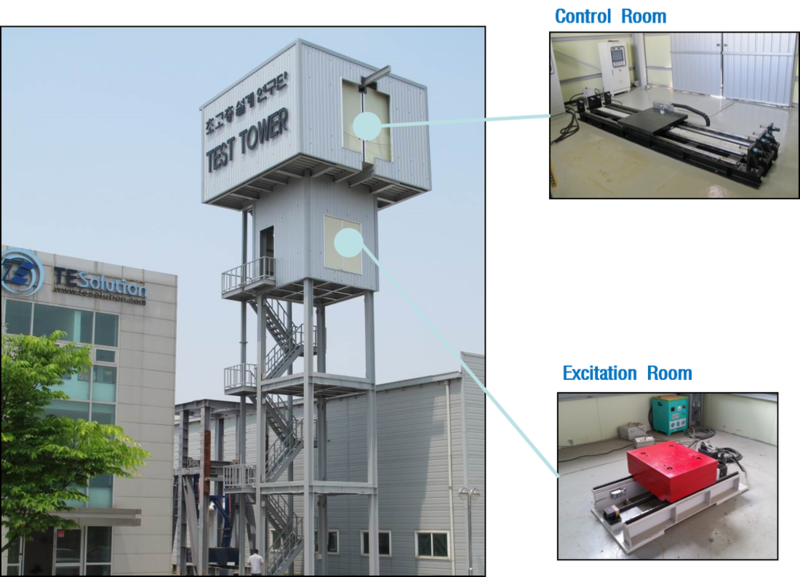 This tower is mainly used in order to conduct performance test of newly developed vibration control devices such as TMD and AMD. In the excitation room, an exciter simulates the vibration of the tower. The control device stationed in the control room detects the vibration to reduce the vibration of the tower. The test tower is 5 stories [20m height] tall steel structure. The tower consists of two rooms - one is control room and the other is excitation room.